A few years later, we decided it was time to refresh the site and broaden its focus. 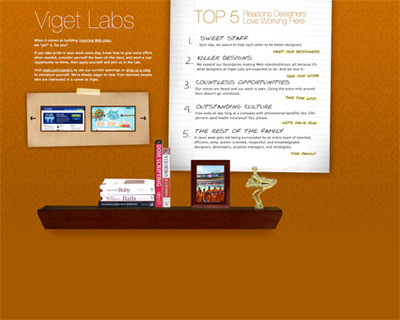 While we love our designers, we've always hired more than just designers, so why not launch a site that reflects all of Viget? 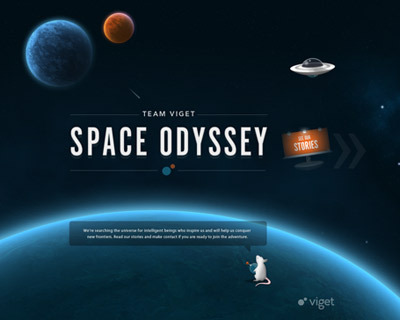 We wanted to do more than highlight open positions, but also share the goofy little stories that help people get to know what Viget is really like. We started working on ideas, but like so many internal projects it was slow going. More recently, with guidance from Tom (design director) and Emily (recruiting), Minh (designer) and Trevor (front-end developer) put their heads together and got it done. Minh created an amazing illustration as the foundation for the site. Trevor worked his front-end magic, making the interactions fun and responsive. He also hooked it into ExpressionEngine so that Emily (and others) can share our adventures directly whenever they'd like. We had fun building it. We hope you like it and that you'll keep an eye on new stories as we add them -- it seems like there's a new adventure over here almost every day.